If you have any information in regards to the where-a-bouts of the people below, please call us at (870) 887-6779. MERCEDES TOLIVER, age 18, of PRESCOTT, ARKANSAS, was last seen around midnight on December 16, 2016 as she was leaving her mother's home in the 300 block of ROston Road and walking south. Her cell phone is dead and she has had no social media ctivity since her disappearance. 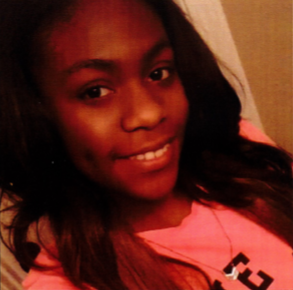 Mercedes was last seen wearing a red hoodie with a yellow shirt underneath and grey sweatpants. She is described as 5'3" tall with a a weight of 120 pounds, and she has black hair and brown eyes. Anyone with information on her location, please contact the Prescott Police Department at 870-887-6779 or call 911.